angela an: George R. R. Martin is in town! 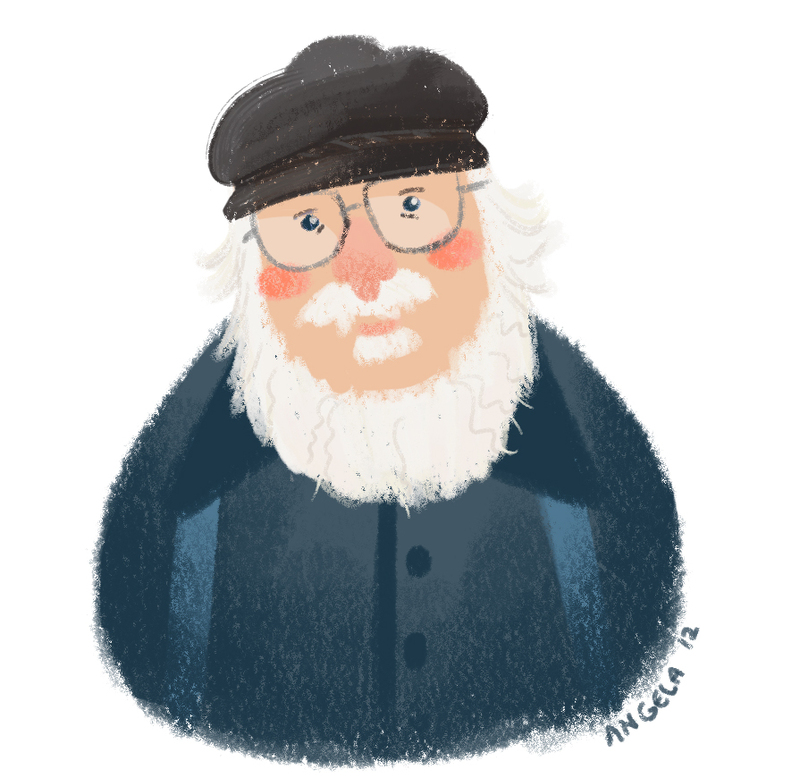 George R. R. Martin is in town! I needed to quickly come up with a quick sketch so my lovely friend Andrew Murray can get my book signed and give him a little print of this (and the one of daenerys and her dragon). Twas a dark night at King's Landing when Captian Highliner appeared! You're soooooo talented, it's ridiculous!! I had such a fun time looking through your blog~~~! !